TypographyA Very Short Introduction: Preserving the aesthetic without the repression? Preserving the aesthetic without the repression? You are correct. Nostalgia for the Soviet Union is certainly there, and has been for quite a while. Whether it is growing, I don’t know. It’s just that it seems to affect – to various degrees – many spheres of life in Russia: political, economic, social, cultural, etc. Since the number of people who remember from their own experience what Soviet life was like is rapidly shrinking, the myths and legends abound; they become more elaborate and fairy-tale-like, often bordering on the extravagant and outrageous. I am sure that nostalgia takes various forms in Russia and in the former vassal nations of the USSR. There are many reasons for that; I am not going to dwell on them: I am no political scientist. The renewal of the old Soviet brands is indeed highly visible. It is interesting that the ‘name’ brands directly related to the Soviet period, such as Kirov [see also here], Krasnyi Oktiabr', Leningrad, and the like obviously help sales. One of the best examples is the ever-popular super-fatty ice cream called ‘48 kopecks’ – that was the price of a block in the Soviet times. It now sells for about one hundred times that much: now that’s what I call nostalgia. Often, Soviet nostalgia comes with a wink. 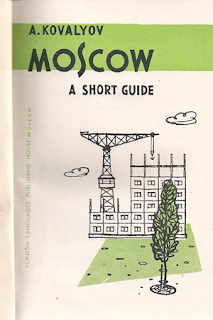 Many members of ATypI, Russian and non-Russian, know of a Soviet-themed restaurant in Moscow called Petrovich. Yes, the standard Soviet fare is served there, with gusto. 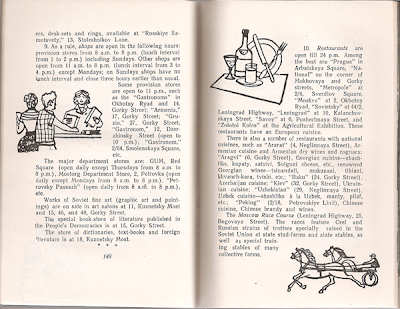 The restaurant owes its existence to the wicked inspiration of Andrei Bilzho, the creator of a popular cartoon character Petrovich, a clumsy ‘Homo Sovieticus’. One of the most appealing features of that ‘enterprise of public alimentation’ is its unique collection of Soviet cultural artifacts. Petrovich is not the only Soviet-themed restaurant in Russia, but it is the oldest (est. 1997) and is likely to be the best in its class. The public craving for Soviet-style products naturally calls for matching graphic design. And rest assured that the offer conveniently matches the demand. The typographic tools are there. Many fonts offered by ParaType, the premier Russian digital type foundry, are actually revivals of the Soviet designs (e.g., Bannikova, Kuzanyan, Bazhanov, New Standard, Svetlana, Kudryashev, Kudryashev Sans, Lazurski, Telingater Display, Journal, New Journal, etc. ), or of the older, pre-1917 typefaces that were still in use in the Soviet times (e.g., Academy, Black Grotesk, Elizabeth, Literaturnaya, etc. ).